Pioneer Solutions Europe MB grades are bead acrylic resins covering a range of applications including but not limited to marine and container coatings, color concentrates, tile paint, and much more. 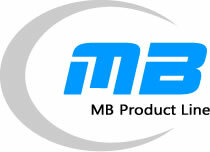 Please view the following data sheets to view which MB product most fits your specific needs. MB-250 300,000 122 1 ≤ 1.0 Aromatics, ketones High Mw resin for coatings where chemical resistance especially for petroleum and alcohol are required. MB-605 8,200 60 0.06 53 Esters, ketones Compatible with most resins for fast dry, high gloss for solvent based fluid inks and overprint varnishes.